Meet our team of Heritage Flight pilots, who are uniquely qualified to fly in formation with USAF single-ship demonstration teams! 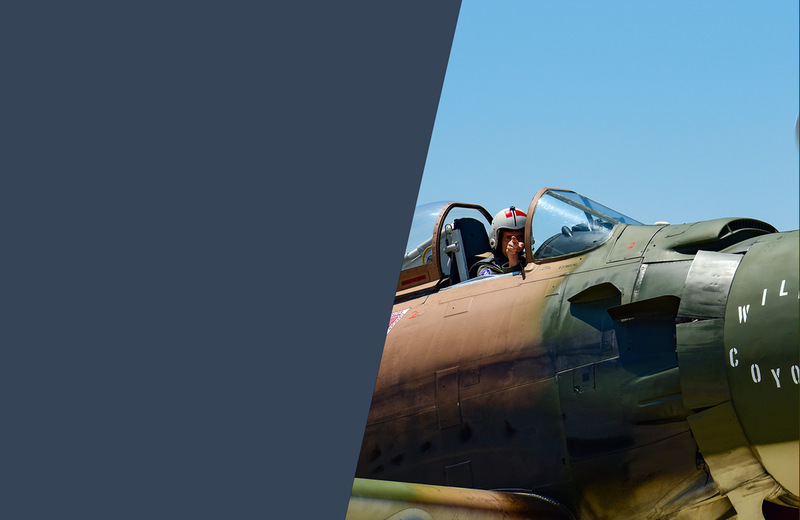 Each possesses a deep passion for aviation history and a personal connection to this program and its mission to celebrate the past, present and future of military aviation. Born in Albuquerque, New Mexico in 1962, Greg Anders is married with two kids. He lives in Bellingham, Washington and is the Senior Vice President and Executive Director of the Heritage Flight Museum. He is a retired Lieutenant Colonel, having served 23 years in the United States Air Force. With over 4,500 hours, Greg's flying background is primarily military. He served 15 years in the USAF on active duty prior to joining the Air National Guard. In the spring of 2003, he was activated for a four-month deployment to Kuwait and Iraq in support of Operation Iraqi Freedom, where he flew numerous combat sorties during the build-up and 27 sorties during major combat operations. The highlight of his deployment was being selected as part of a small contingent of forward-deployed pilots flying combat sorties out of Tallil Air Base in Iraq. Like the P-47 "Thunderbolt" forward basings in France during WWII, the A-10 "Thunderbolt II" proved its combat mettle by being the only USAF fighter to stage off of Iraqi soil during the major combat operations of Operation Iraqi Freedom. Greg has also flown combat sorties in the F-15E during Operations Southern and Northern Watch. In addition to being mission-qualified in the A-10, Greg is mission-qualified and an instructor pilot for both the F-15E (1,000hrs) and the B-52 (2,000hrs). 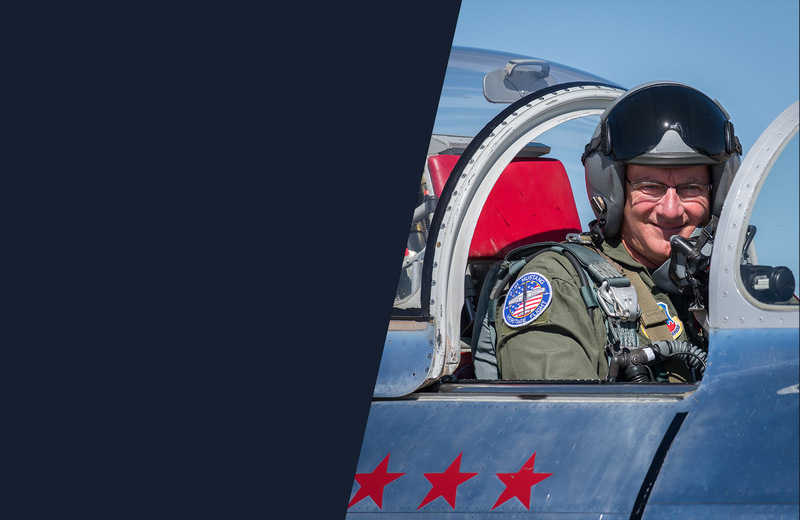 His military flying experience also includes flying the T-37, T-38, AT-38, F-15B and D, F16B and D and F-18. 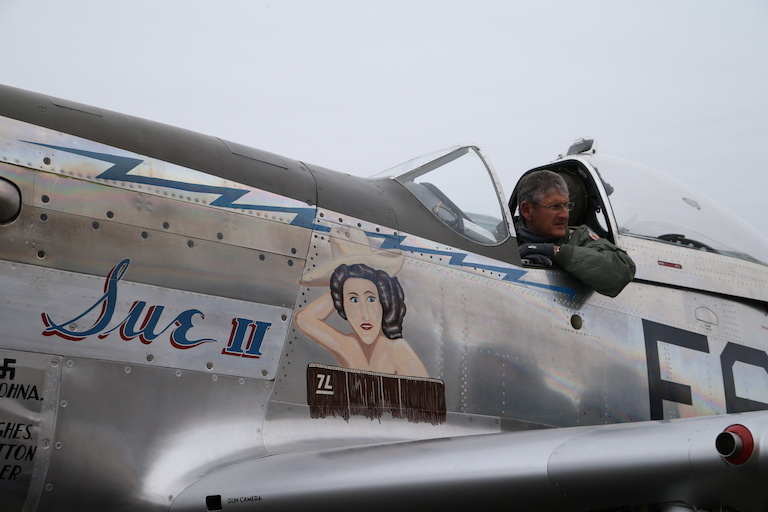 As a civilian, Anders is currently flying the P-51 and most of the other aircraft of the Heritage Flight Museum. He also flies air show formations in his T-6 "Texan" WWII trainer with his father and brother. Greg is a third-generation military officer and third-generation Academy graduate. His grandfather, Cmdr. Arthur Anders (USNA class of '27), earned the Navy Cross and Purple Heart while serving in China on the USS Panay when it was bombed by the Japanese. With the Captain disabled, the Executive Officer, (then Lt.) Arthur Anders, took command of the ship and ordered "open fire" on the Japanese—several years before the bombing of Pearl Harbor. Greg's father, Maj. Gen. William Anders (USNA class of '55), served as an interceptor pilot in the Air Force during the Cold War. He then served in NASA on the crew of Apollo. Greg graduated from the United States Air Force Academy in 1985. Jim Beasley, Jr. is a founding member of the Air Force Heritage Flight program, having performed the first dissimilar formation with the West Coast F-15 Eagle demonstration team at Shaw AFB in 1996. Since that time, Jim has flown in hundreds of Heritage Flights across the United States, Canada and the U.K. In 2006, Jim was voted “Civilian Heritage Flight Pilot of the Year” and flies his P-51D Mustang “Bald Eagle” in Heritage Flights in the Northeast section of the United States. 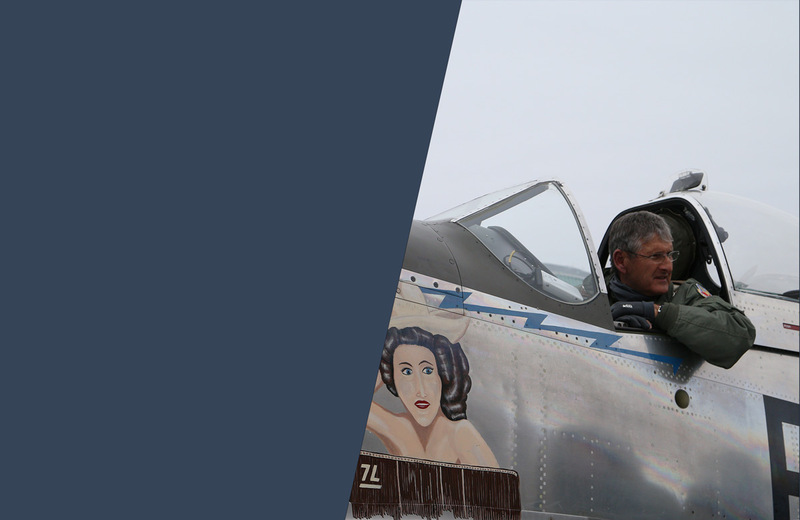 Jim has been flying historic fighter aircraft for over 20 years and has accumulated thousands of hours in aircraft, such as the P-51 Mustang and Supermarine Spitfire, as well as Navy fighters, including the F4U Corsair and Grumman F8F Bearcat. 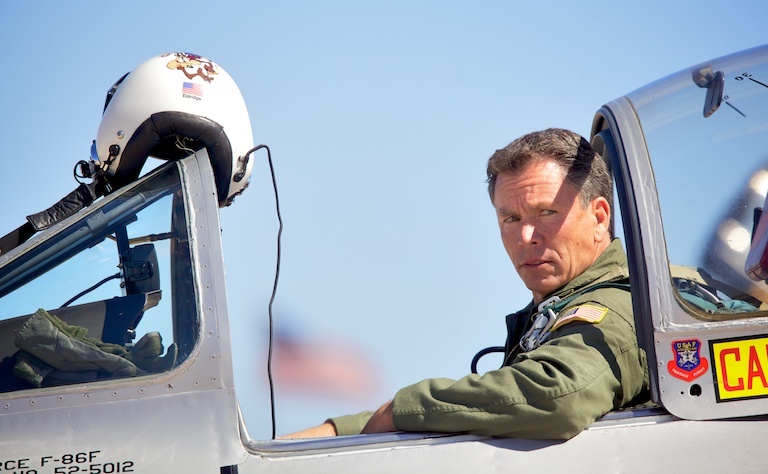 He holds commercial and multi-engine instrument ratings and holds a surface-level aerobatic waiver for solo and formation aerobatics in a multitude of piston-powered fighter aircraft. Jim is an attorney and trial lawyer in Philadelphia, Pennsylvania and runs The Beasley Firm, LLC, a complex litigation law firm. He is married with five children. Kevin Eldridge was born in Riverside, California. He now resides in Claremont, California with his wife, who is also a pilot. 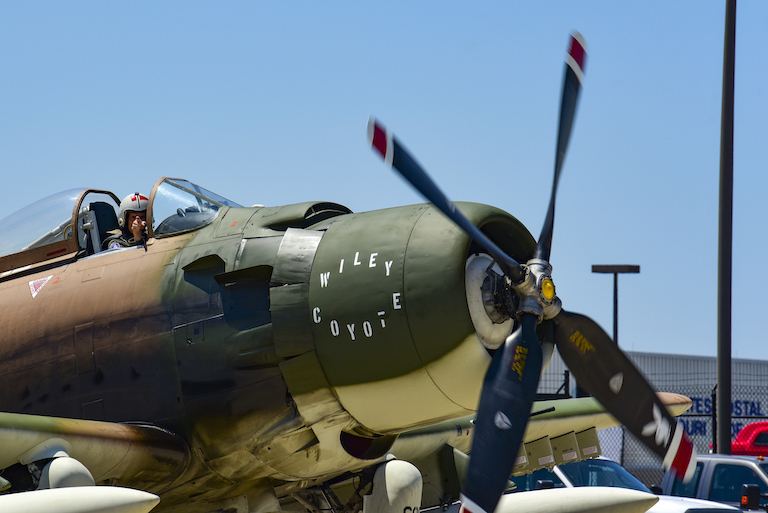 His interest in aviation started in high school when he was introduced to the Planes of Fame Air Museum in Chino, California. He eventually started working as a mechanic for the museum and Steve Hinton's Fighter Rebuilders, where he began restoring World War II aircraft. After obtaining his private pilot ticket, he continued to fly, earning his commercial license in a North American T-6 and instrument in the North American B-25 Mitchell. Also during this time, he graduated with a B.S. in Finance from Cal Poly Pomona. 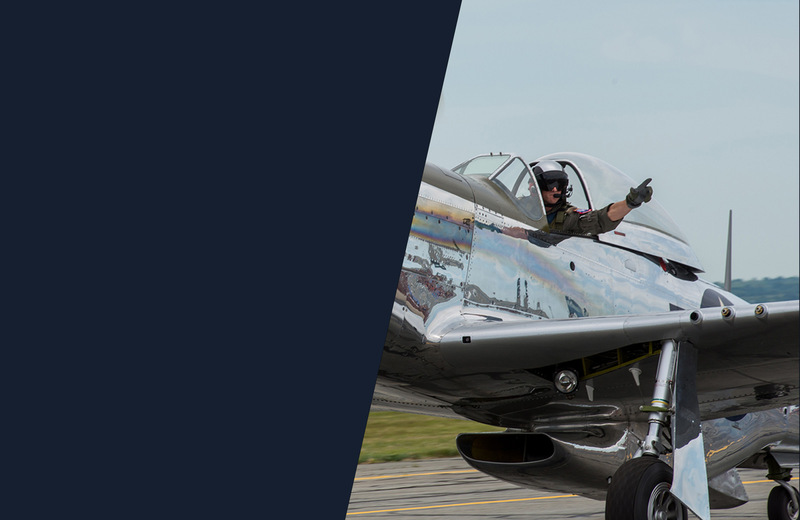 Kevin has been flying warbirds for over 20 years and holds an unlimited license for "all makes and types" of high-performance piston-powered aircraft. 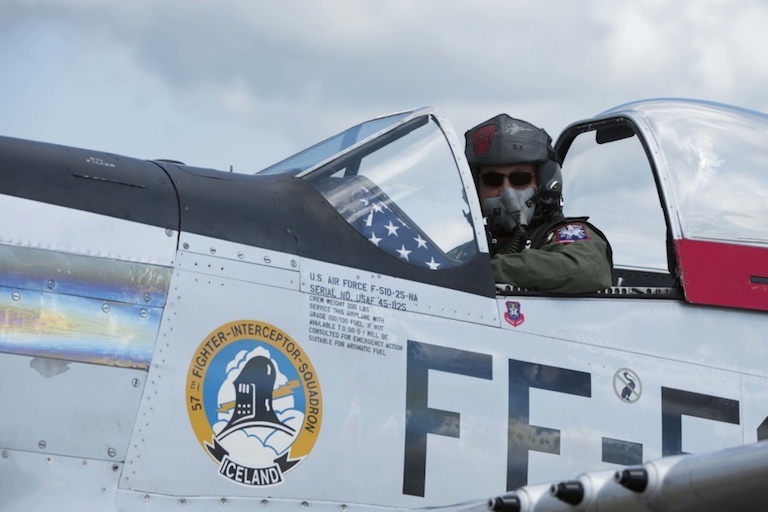 He is also a Screen Actors Guild member and motion picture pilot, has raced in the unlimited division of the National Air Races and has flown a wide variety of warbirds and aircraft that range from the Luscombe to the F-86 Sabre. Eldridge currently holds the position of Chief Pilot at the Planes of Fame Air Museum and is still involved in restoring vintage aircraft, having recently completed a 1947 Luscombe for his wife. Kevin is currently based in L.A. where he flies for a major airline. 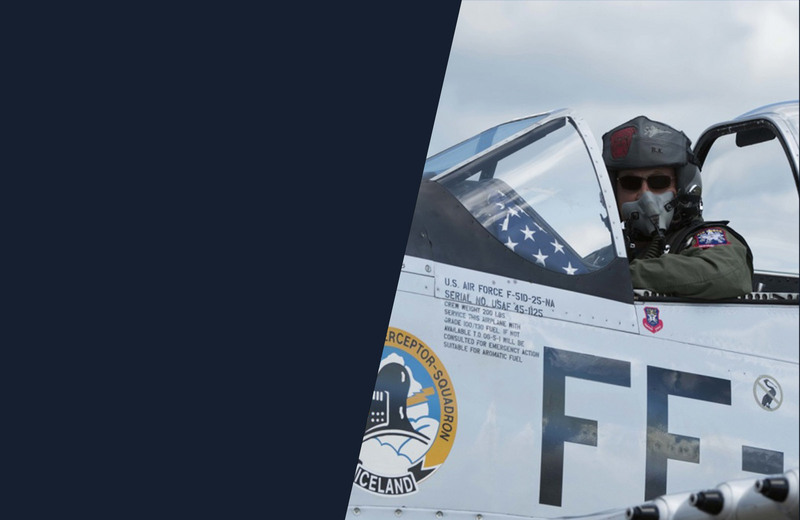 Dan Friedkin is founder and chairman of the Air Force Heritage Flight Foundation and one of 10 civilian Heritage Flight pilots qualified to fly in formation with U.S. Air Force single‐ship demonstration teams. 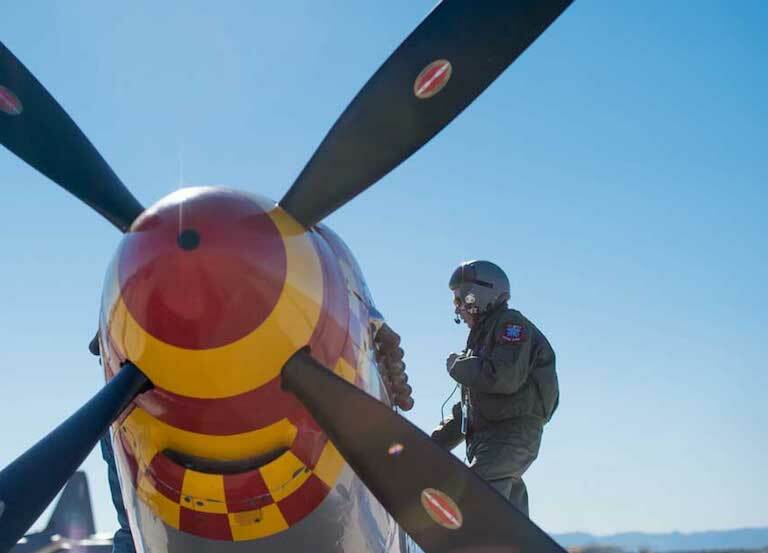 He participates in air shows throughout North America and Europe, flying right wing for the Horsemen Flight Team, the world’s only P‐51 formation aerobatic team. 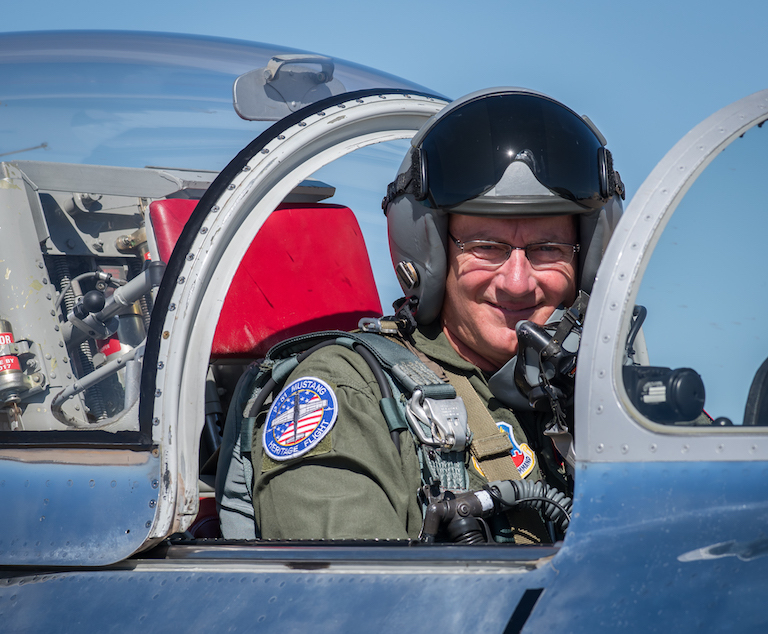 He also serves as the aerial coordinator for the Air Force Heritage Flight training course and, in 2012, was the recipient of the USAF Civilian Pilot of the Year Award. Aviation has been a passion of Dan’s since an early age, when he first took to the skies developing his skills on gliders and a variety of tail wheel aircraft and helicopters. 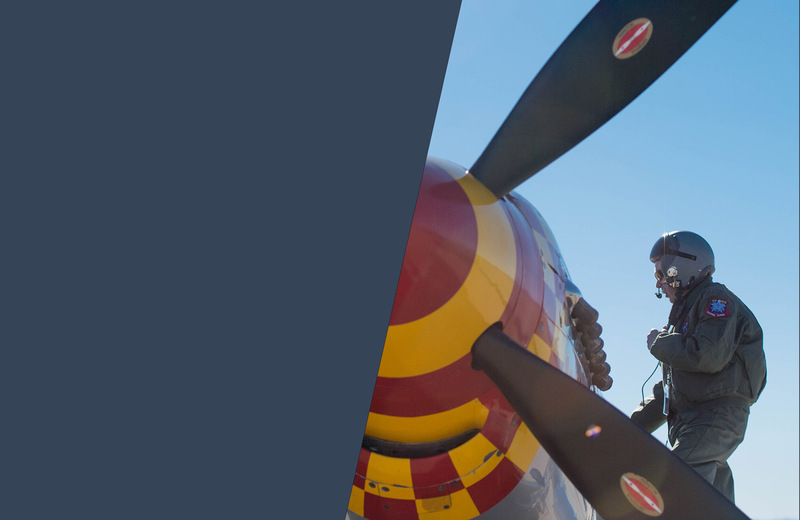 Today, Dan has a focus and passion for warbirds and actively flies the T‐6, P‐51 Mustang, F‐86 Sabre, F6F, F8F, F4U‐4, Hawker Hurricane and various models of Spitfire. 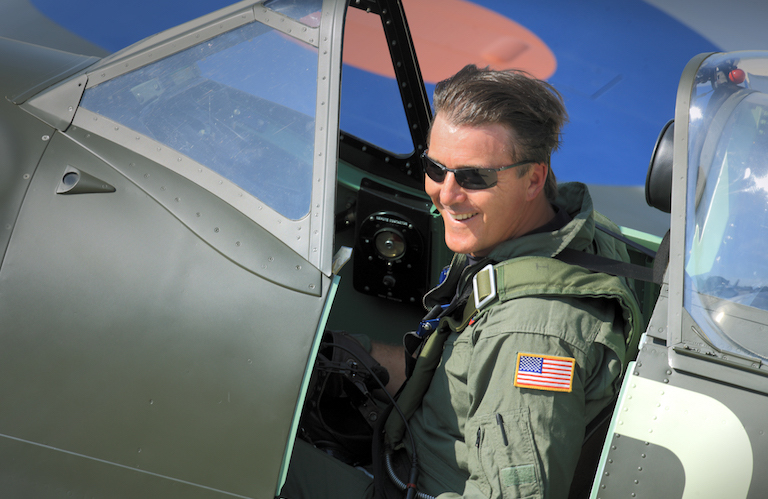 Dan uses his unparalleled experience and enthusiasm for flight in the film industry; over the past five years he has directed and coordinated more than 1,000 hours of helicopter air‐to‐air, ground‐to‐air and in‐cockpit footage with Spitfires, Mustangs, Sabres, Corsairs, Lightnings, Hellcats and Bearcats. Most recently Dan acted as an aerial unit coordinator, Spitfire pilot and helicopter camera pilot in Christopher Nolan’s epic IMAX film, “Dunkirk.” His work on “The Horsemen Cometh” was nominated for an Emmy in cinematography, and he has served as director/DP, aerial coordinator and principal pilot for numerous feature films, documentaries and commercial projects. Dan is chairman and CEO of The Friedkin Group, a privately held and diverse consortium of businesses and investments in the entertainment, automotive, hospitality, golf and adventure industries. Charles Hainline was born in Medford, Oregon in 1964. He grew up on a small farm and worked his way through college harvesting wheat and grass seed in the Willamette Valley. He saved up and learned to fly when he was 18 — his instructor would land the Aeronca Champ on a farm road near the field Charles was working and give him a lesson at lunchtime. After graduating from Oregon State University, Charles was accepted to U.S. Air Force Officer Training School and was commissioned a second lieutenant in October 1986. After pilot training, Charles flew the A-10 in Korea and in Louisiana, where they started calling him “Tuna.” He then moved on to the F-117 Stealth Fighter at Tonopah Test Range, Nevada and Holloman AFB, New Mexico. After the F-117 he was accepted as an exchange officer with the Navy, where he flew the F/A-18 Hornet in VFA-106. As a RAG (RTU) instructor, he was carrier qualified with 101 traps. He was then reassigned to the F-117 and saw combat action over Belgrade in the Kosovo conflict. During Operation Allied Force, Charles flew multiple combat missions over Belgrade, for which he was awarded the Distinguished Flying Cross. After the F-117, Charles flew the F-4F with the German RTU at Holloman AFB, then finished his career flying the QF-4, becoming the first F-4 West Heritage Pilot. In 2006, Tuna retired as a Lieutenant Colonel and command pilot with over 5,000 total hours in the T-37, T-38, A-10, F-117A, F/A-18A/B/C/D, T-34C, F-4F, and QF-4E/G. His military decorations include the Distinguished Flying Cross, Meritorious Service Medal, Air Medal, Aerial Achievement Medal, Air Force Commendation Medal with one device, Air Force Achievement Medal with three devices, Air Force Outstanding Unit Award, Combat Readiness Medal, National Defense Service Medal, Global War on Terrorism Service Medal, Korean Defense Service Medal, Air and Space Campaign Medal and Small Arms Expert Marksmanship Ribbon. After retirement, he was hired by Southwest Airlines and flies the 737. He spends his spare time working on airplanes — he has restored a Stearman, T-6, J-3 Cub, DHC-2 Beaver, Beech 18 and Grumman Albatross. 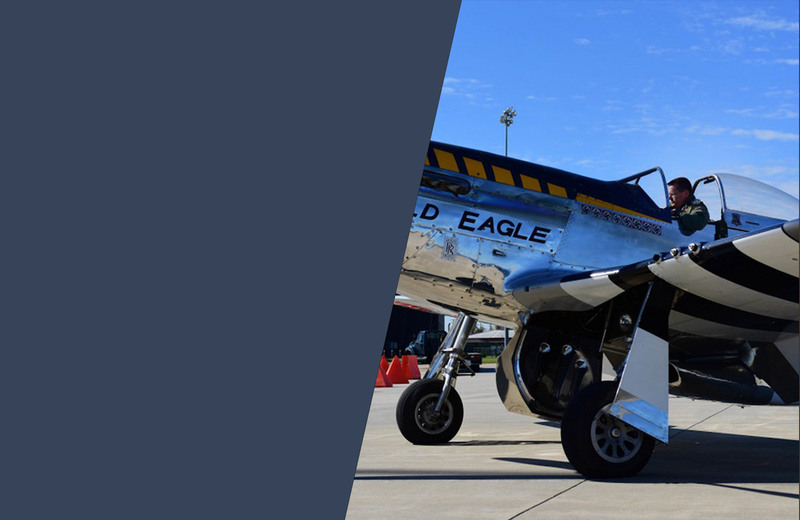 In 2006, Charles was fortunate enough to be invited to fly with the Lone Star Flight Museum, in Galveston, Texas, where he is qualified on the PT-17, T-6, B-17, B-25, P-47, F4U, AD Skyraider and the P-51. 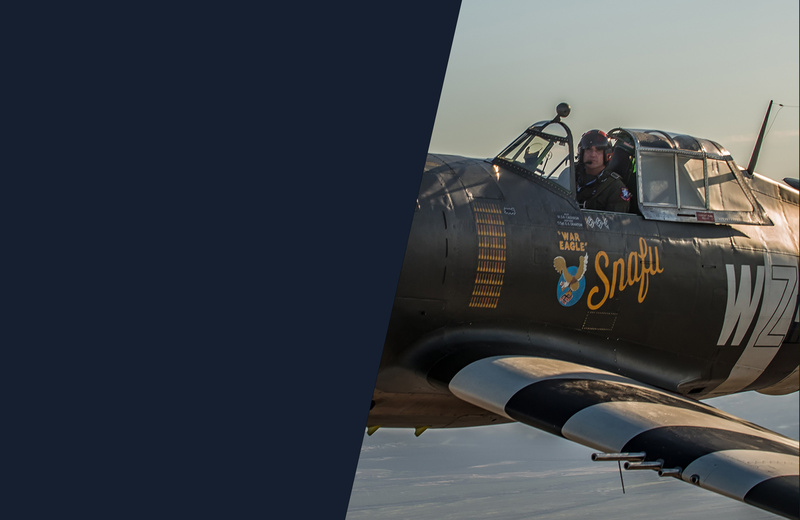 Steve Hinton is a fixture in the world of warbirds, performing at air shows around the world for more than 35 years in 150 different types of aircraft. 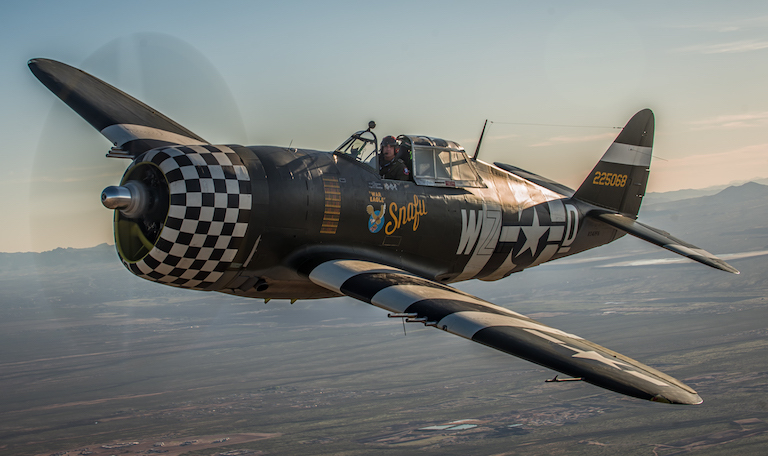 His restoration company, Fighter Rebuilders LLC, has restored more than 40 warbirds to pristine flying condition. Steve’s accolades as a pilot are impressive: President of Planes of Fame Air Museum since 1994, founding member of the Motion Picture Pilots Association, civilian pilot with the USAF Heritage Flight; World Speed Record holder, and Reno Air Race Champion. All of this has allowed him to rack up more than 7,000 hours flying WWII fighters. 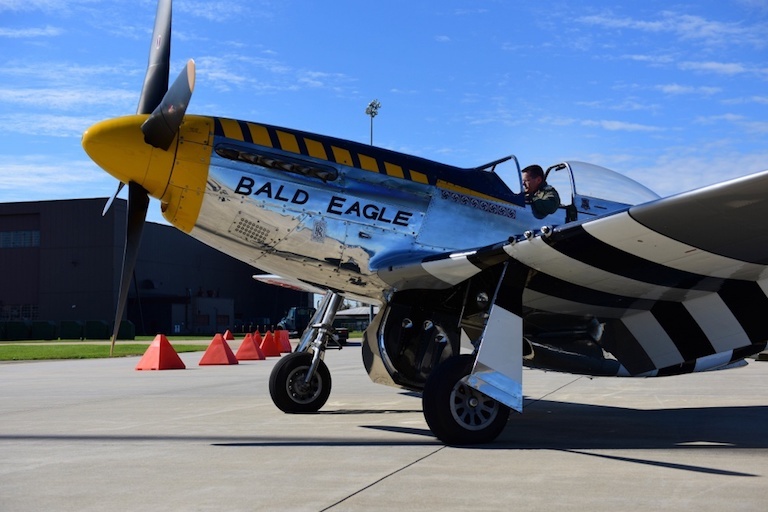 Steve was inducted into the EAA Warbird Hall of Fame in 2005 and received the Art Sholl Showmanship Award from the International Council of Air Shows (ICAS) in 2010. Currently living with his wife Karen in Newport Beach, California, Steve cherishes any time he gets to share with their twins Steven and Amanda. Andrew McKenna started his flying career at age 16 when he first soloed in 1992, but finished his private pilot training at age 30 in 2007, working his way from the Piper Cub up to the T-6 Texan and P-51. 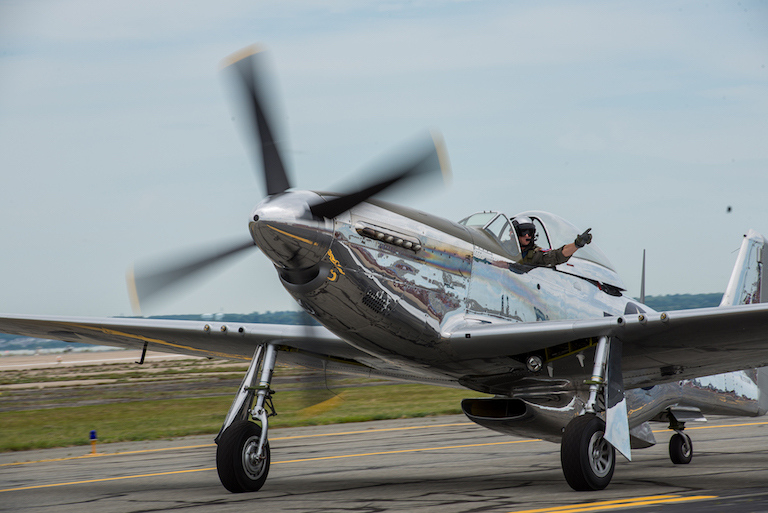 Since that time, Andrew has accumulated over 3,000 hours of total time with 650 hours in the P-51 and over 600 hours in the T-6 performing at several air shows and events up and down the East Coast. Andrew has performed at over a 100 aerial events since 2009 - many as a volunteer at Arlington National Cemetery in his P-51 for fallen airmen. Andrew is also active with the United States Air Force Association and numerous non-profit entities that directly and indirectly support our airmen. Andrew helps manage and run McKenna & Associates, an advisory firm that also manages the firms proprietary capital into a variety of asset classes. 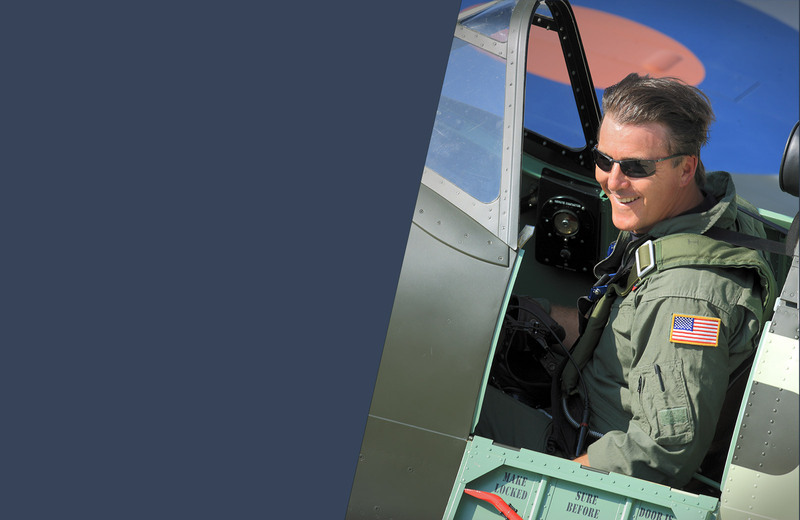 Andrew holds a commercial and instrument rating and holds a surface-level aerobatic waiver for solo and formation aerobatics in the T-6 and P-51. Andrew resides and works in Arlington, Virginia with his wife and two children. Stuart Milson was born in Dallas, Texas in 1967, and at the age of 10, took his first ride in a de Havilland Beaver in Canada. From that moment on, it was his destiny to become a pilot. Stuart received his license at the age of 17 and went on to pursue his love of flying by building hours in over 25 different tail wheel aircraft. When an opportunity presented itself, he became the proud owner of a Harvard Mark 4 (also known as a T-6). He has over 10,000 hours and is qualified to fly an EMB 120, CL-65, DC-3, MD-11, B-25, B-17, A-26, DHC-4 Caribou, T-28, F4U Corsair, F4F Wildcat, F6F Hellcat, F8F Bearcat, G-TBM, P-40, P-47, P-51, AD-1 Skyraider and Hawker Sea Fury. Stuart is a certified flight instructor, (CFII, MEI), flight engineer and an A&P mechanic. He is the chief pilot for the Cavanaugh Flight Museum in Addison, Texas. He has also been a member of the U.S. Navy Legacy Flight program since 2007. He is currently employed with FedEx as a pilot on the MD-11. Stuart and his wife Cara live at a residential airpark in Midlothian, Texas with their three boys. Tommy Williams started flying when he was 16 years old in Houston, Texas before attending Embry-Riddle Aeronautical University in Prescott, Arizona. While at Embry-Riddle, he participated in Air Force ROTC and after graduation was commissioned a second lieutenant in the Air Force. 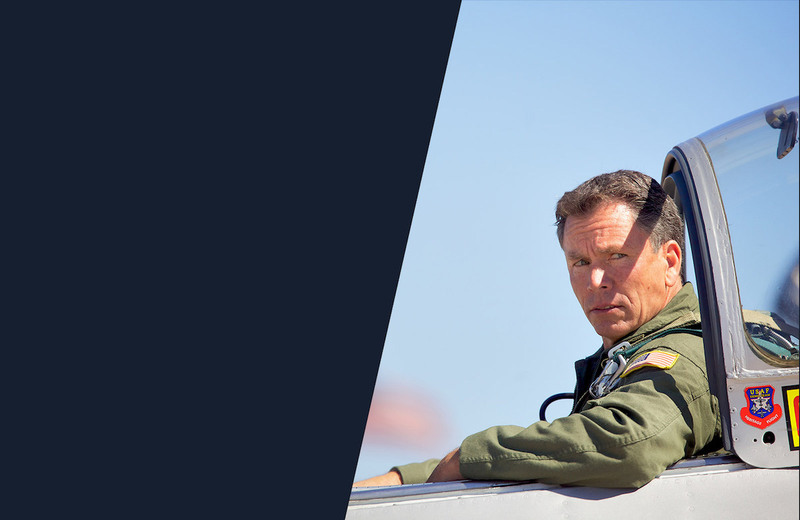 While in the Air Force, Tommy flew multiple fighter aircraft, including the F-15C, F-5E, F-4E and F-16 and acquired over 3,800 hours of fighter time. After serving on active duty he entered the Air Force Reserve. He recently retired as a Major General, serving in support of the USAF Director of Operations at Headquarters Air Force in the Pentagon. When not supporting the Heritage Flight Foundation, Tommy serves as a captain for Delta Airlines on the Airbus A-320 based in Minneapolis, Minnesota. Born in Grimsby, Ontario, Canada, Brian Feaver started flying when he joined the Royal Canadian Air Force as a medical officer in 1984. He was stationed at 4 Wing Cold Lake, flying with the 416 and 441 operational squadrons and the 410 Tactical Fighter Training Squadron. He became the Fighter Weapons Instructor Course and Maple Flag Flight surgeon. He graduated from the Air National Guard Fighter Surgeons School in Klamath Falls, Oregon and deployed across Canada and abroad, including as senior flight surgeon during Operation Desert Storm, Doha, Qatar. In 1992, he became wing surgeon at 15 Wing Moose Jaw and flight surgeon for the 431 Air Demonstration Squadron – the Snowbirds – until 1995 when he moved to Texas. Flying continues to be Brian’s passion. He has tallied 2,700 civilians hours and holds several ratings including single-engine land and sea, multi-engine land and instrument. He owns an RV4 and a Piper Aztec and enjoys flying with his family and friends.